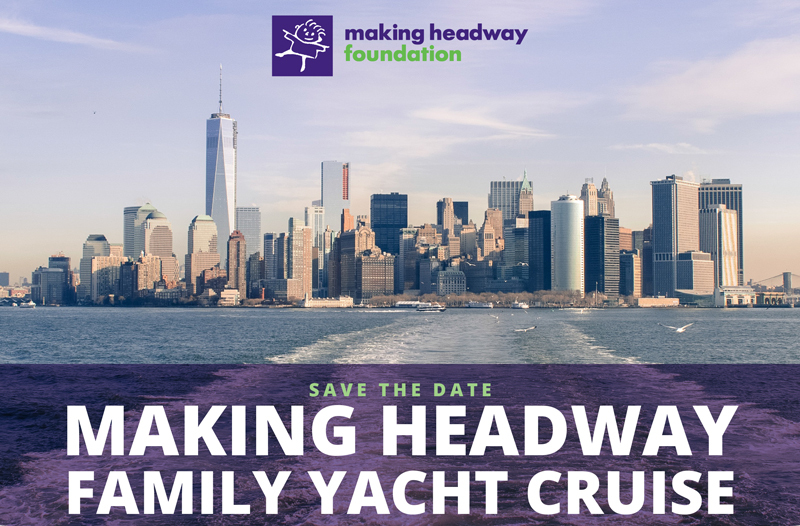 Making Headway Foundation would like to invite you to our annual free Yacht Cruise and Luncheon aboard the beautiful Skyline Princess! We know from experience that this is one of the most popular events of the year. We invite you and your children to join us. – Opposite West 20th Street and the West Side Highway, New York City. Entrance for cars at 23rd Street. Registering for the Family Yacht Cruise is free and easy. Space is limited to mom, dad, and your children. – You can register online here (https://mhcruise2018.eventbrite.com). 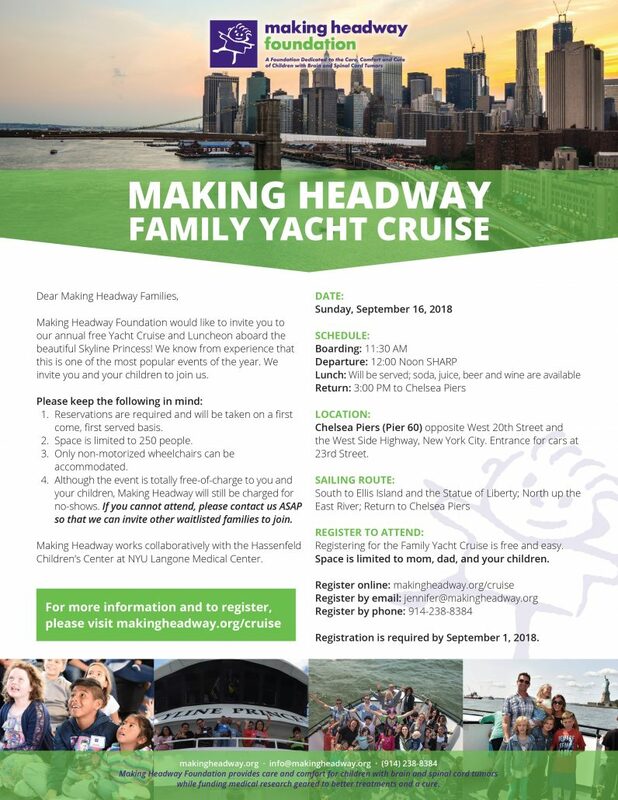 – You can register by emailing us at jennifer@makingheadway.org. – You can call us at 914-238-8384. Registration is required by September 1st, 2018 . Notes: Reservations will be taken on a first come, first served basis, with a priority given to families that have not never been able to attend in the past. Space is limited to 250 people. Only non-motorized wheelchairs can be accommodated. Although the event is totally free-of-charge to you and your children, Making Headway will still be charged for no-shows. If you cannot attend, please contact us ASAP so that we can invite other waitlisted families to join.